Mastermix Pro Disc 155 Out Now! The May instalment of the regular Mastermix Pro Disc series is now available, packed with 22 of the latest new and forthcoming music releases. Tracks this month include Will.I.Am (feat. Justin Bieber) with ‘#ThatPOWER’, the UK no.1 from Rudimental (feat. Ella Eyre) ‘Waiting All Night’ and the latest offering from Chris Brown ‘Find China’. 10. Little Mix feat. Missy Elliott - How Ya Doin'? 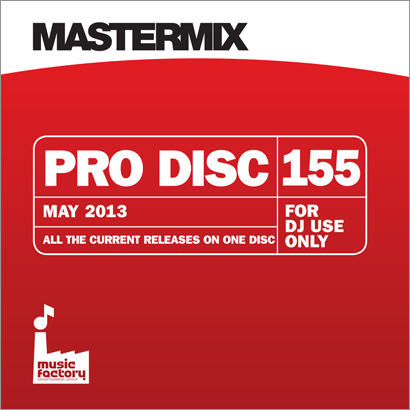 Pro Disc 155 is due out now priced at £15.32 and is available from your local dealer or direct from Mastermix online.